Impressive SUV takes Swedes to higher ground. THERE are no excuses for the new XC90. With a new platform, engines and in-house development from the ground up, this is Gothenburg’s chance to prove that it can produce a genuinely world-class car under its Chinese owner, Geely. And yes, it really has delivered. 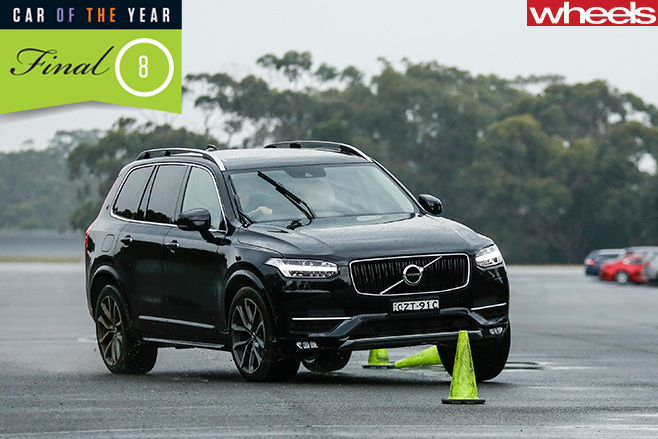 Volvo’s XC90 was one of a pair of big SUVs to progress beyond stage one – the other being Audi’s Q7. Despite COTY’s clear brief that we focus on the five criteria, direct comparisons between the two SUVs were inevitable. The XC90’s exterior was designed by a German, its interior by a Brit, and the two shining black beauties supplied by Volvo were lauded for their style, both inside and out. The D5 Inscription, XC90’s mid-spec starting at $96,950, is powered by an all-new 2.0-litre turbo-diesel making 165kW and a solid 470Nm from 1750-2500rpm. 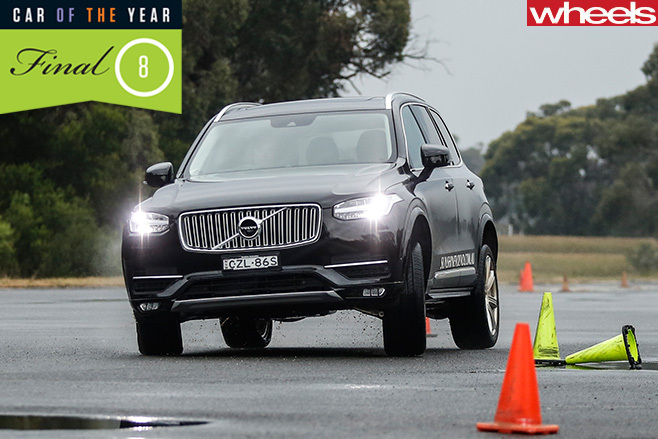 The petrol XC90 T6, here in entry-level Momentum trim producing 235kW/400Nm, shares the diesel’s 1969cc capacity and eight-speed automatic gearbox. The XC90 immediately impressed with its interior, especially that third seat row. It was easy to get into and comfortable, and its closer-to-centre positioning meant a clear view ahead. Voluminous third-row air vents to add to the adult-friendly roominess. Thanks to the packaging benefits of the plastic transverse leaf spring rear suspension, the XC90 backed that up with admirable luggage space. The front cabin initially dazzled with its excellent surfacing, tactile materials, crisp digital dash and that ‘Tesla reaction’ 12.3-inch centre touchscreen. Gradually, however, the cabin’s freshness began to wear off, thanks to the presence of the Q7. Despite the XC90’s overall effectiveness, and its supportive seats continuing a fine Volvo tradition, its detail design lacked the Audi’s aura of expense. On its air suspension (a $3760 option) and 21-inch wheels, the D5 looked even better at a standstill than the steel-sprung T6 on 20s. The larger rim choices are worth noting, as Audi (cleverly) stuck with its standard 19-inch wheels for both Q7s. 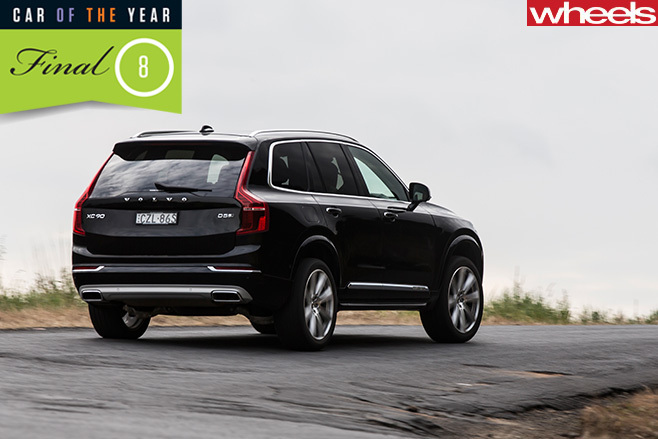 Such ample rubber enabled the XC90’s playful chassis to shine at Lang Lang and on road loops, but also contributed to its single biggest criticism – ride quality. The D5’s air suspension proved supple in a straight line, but could feel a little floaty around corners. That vagueness wasn’t evident in the steel-sprung T6, but its primary ride was deemed overly firm. Laying on the talent is the characterful diesel – so refined you wouldn’t know which bowser to pull up to – and the gutsy, rev-happy petrol, underlining the competence of Volvo’s new engine family. What prevented the Swede from making the podium was the fact that some of its driver aids, including radar cruise, blind-spot and cross-traffic alert systems, aren’t standard. Prerequisite premium features, such as keyless entry and privacy glass, also cost more. And the XC90 can’t take baby seats in its third row (which the Q7 can). 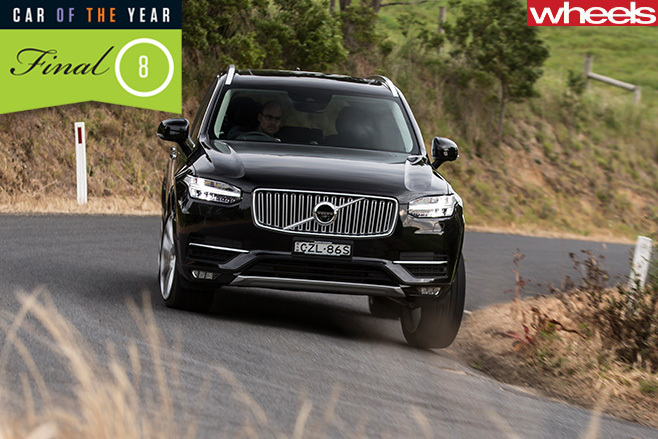 Yet the XC90 is a clear win for the Swedes. 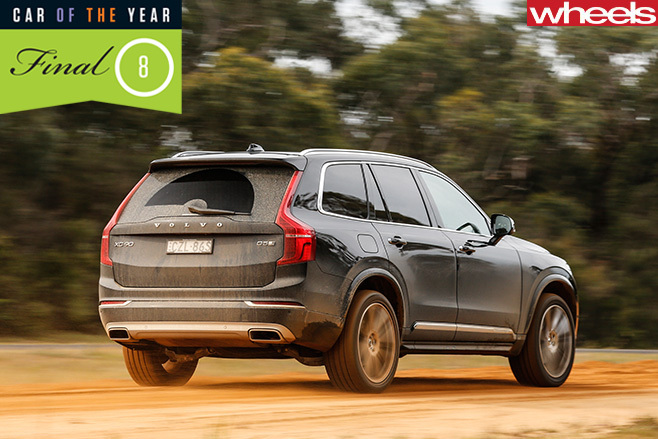 Its impressive fundamentals provide a rock-solid foundation for Volvos of the future. Plus, it has personality, and that’s a virtue you can’t measure.